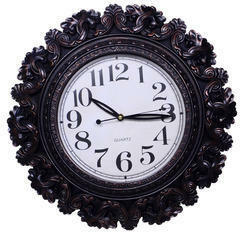 A beautifully carved wall clock time-piece in Victorian style to enhance the beauty on the walls. Made of fibre that makes it light weight & easy to carry. Perfect wall display for a big room. The enterprise is engaged in trading high quality Plastic Clock. To meet the variegated demands of clients, we are engaged in presenting high quality array of Plastic Wall Clock. 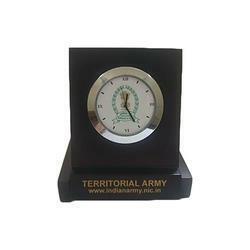 This Plastic Wall Clock is widely demanded in different houses, hotels, offices and many places. Moreover, to get the total satisfaction of the customers, we provide this product at pocket friendly price. We are very glad to introduce ourselves as manufactures of ultra modern clocks by our brand name “AMBANI TIMES from tik tik town of India, i. e. MORBI (Gujarat). We are having very wide range of clocks, manufactured in its most innovative way. CT&M Enterprises presents Designer wall decorative to make your wall beautiful. This product will really help you in giving your wall a perfect look. Perfect Item for Special Events .This Wall Beauty Item is the perfect accessory to adorn your room. Wipe Clean with Soft Wet Cotton Cloth Clean this photo frame with a soft wet cotton cloth. This Student clock Accurate to the hours with the movement of minute Arm. All Our Product Are Trade promotional Product. The Name Printed Are Just Specimen Of Printing. Weight & Measurments Of Product Can Very. Taxes, Printing & Forwording Charges Extra.